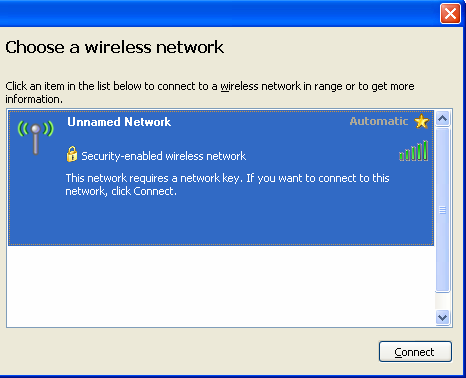 Disabling the SSID Broadcast of a Linksys router hides your wireless network from wireless devices. This is one way of strengthening security of your wireless network. IMPORTANT: Make sure you know the wireless settings of your router before connecting your device to the network. The wireless password or security key is case-sensitive. 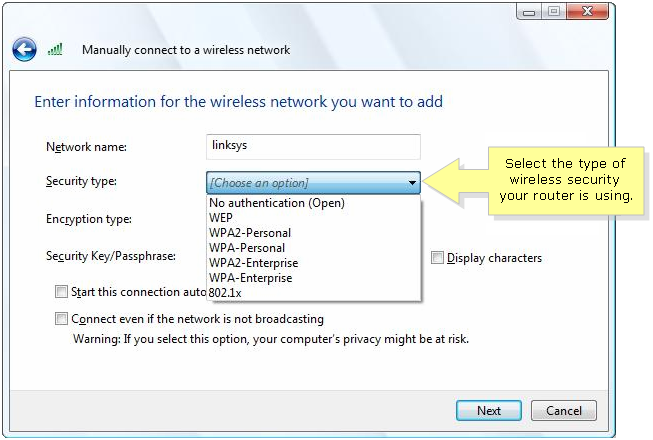 To learn how to check the wireless settings of your Linksys router, click here. 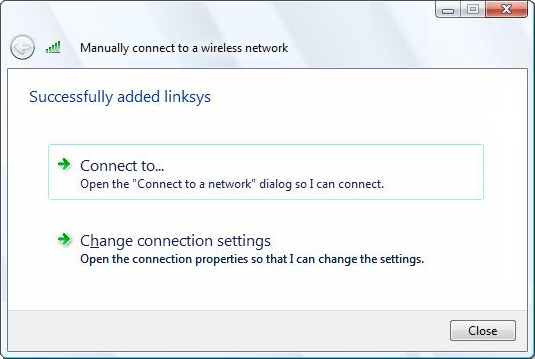 If you’re using the Linksys Connect software, click here. For Linksys Smart Wi-Fi, click here. Click on the operating system of the wireless device you are trying to connect to the network for specific instructions. If you are using a Mac® computer click here. 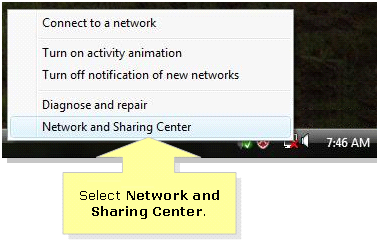 Right-click on the Network Connection icon at the bottom-right corner of the screen, then select Network and Sharing Center. NOTE: In case your wireless network name (SSID) is already on the list of preferred networks, remove it from the list first before adding the network again. 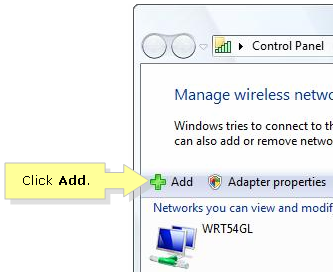 To do this, select the name of your wireless network and click on the Remove button at the top. Select Manually create a network profile. Enter your SSID in the Network name field. Select the Security type and Encryption type that your router is currently using. Enter your wireless Security Key / Passphrase in the specified field. Then, click Next. QUICK TIP: To check whether you have entered the password correctly, check the Display characters box. QUICK TIP: The SSID and the wireless network Security Key or Passphrase are case-sensitive. Select the Connect to… option in the confirmation window. Your computer is now connected to your hidden wireless network. NOTE: Once your computer is connected to a hidden network, it will be able to detect and see the SSID of the hidden wireless network whenever it is within range. However, other computers that haven’t connected to the hidden network before will still be unable to see the network. 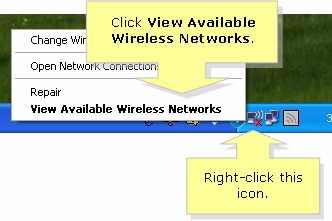 Right-click on the Wireless Network Connection icon at the bottom-right corner of the screen and select View Available Wireless Networks. Select Unnamed Network then click Connect. NOTE: Your wireless network name (SSID) will show up as Unnamed Network when the SSID Broadcast is disabled in your router. 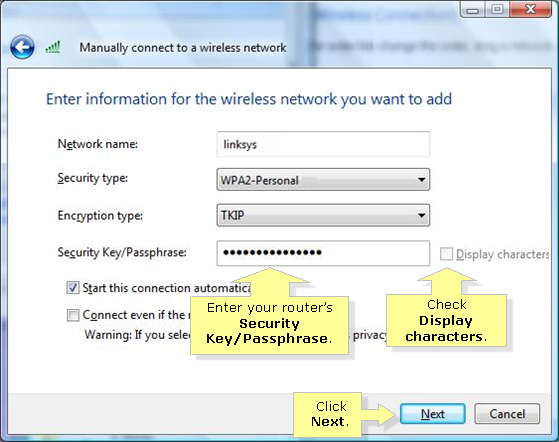 Enter your wireless security key or password in the Network key and Confirm network key fields then click Connect. QUICK TIP: The wireless network security key or passphrase is case-sensitive. 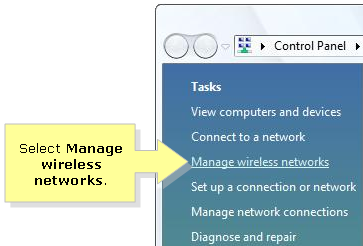 NOTE: The Wireless Network Connection icon at the bottom-right corner of the screen will turn green once you have successfully connected to your wireless network.